Nike is set to end the year with a bang with their impressive releases that includes the latest edition of the LeBron XI. 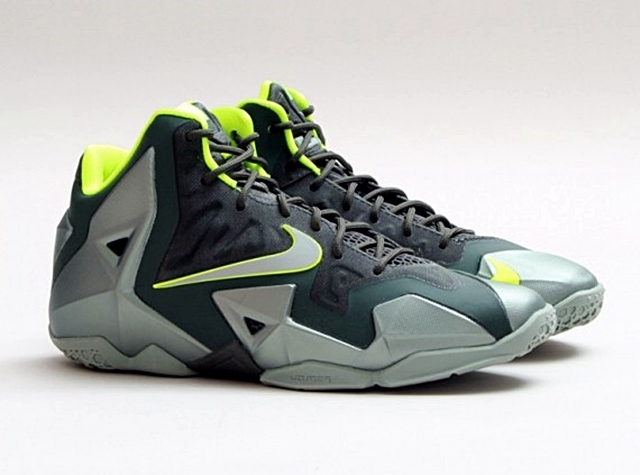 Coming out today, December 31st, is the “Dunkman” edition of the LeBron 11 that is officially listed as the Mica Green/Sea Spray-Dark Mica Green-Volt colorway of this signature shoe. While this is not the most-impressive looking colorway of this shoe, this one will surely get a lot of attention. Make sure to put this kick on top of your list!